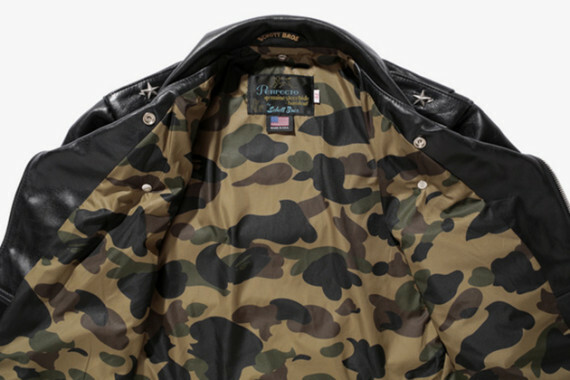 A BATHING APE and Schott NYC teamed up to deliver their own version of the iconic biker jacket. 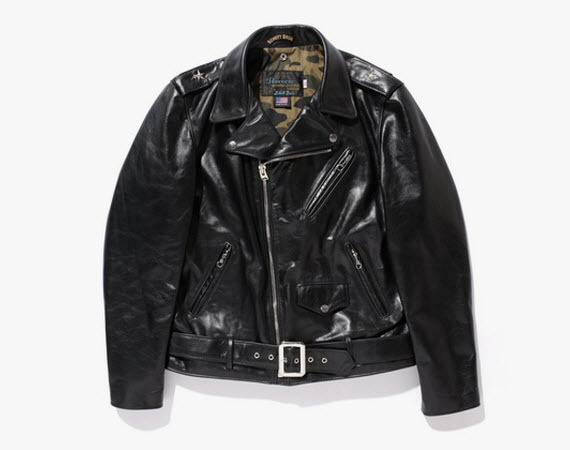 As part of their Holiday 2013 Collection, the A Bathing Ape x Schott’s One Star Riders Jacket utilizes 100% black leather on the body, and it is accented with the “Sta” star labels on the shoulder yokes, representing the Japan-based brand. Complementing the tonal black body is the inner lining done in the classic camouflage pattern. 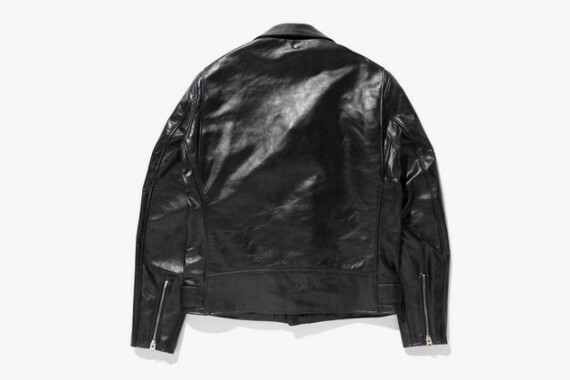 The biker jacket also features metal button clips, angular exterior pockets, a leather waist strap, and an off-center zip closure. 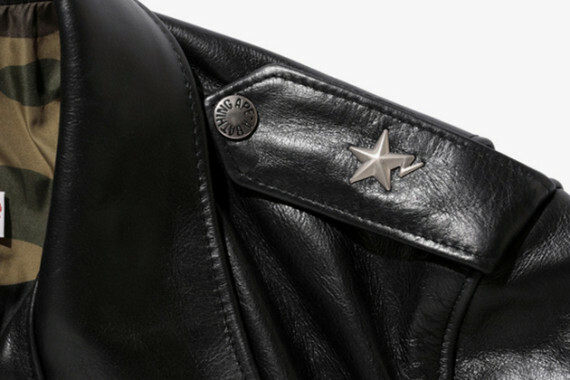 You can pick up this A Bathing Ape x Schott’s One Star Riders Jacket at the brand’s web store.